In recent years, kale has become the darling of the healthy eating set – and for good reason. Kale is a readily available, dark, leafy green that’s packed with all kinds of nutrients and minerals. If the idea of jumping on the kale bandwagon leaves you a little hesitant, we’re here to shed some light and make your leap a little easier. Let’s learn about kale! Kale is a large, leafy plant. Each leaf usually measures about a foot long, and has a big, thick stem (which most folks choose to discard when cooking) and a large dark green leaf. Some kale may have hints of purple or red, or can be purple all-over. And similar to parsley, kale comes in two varieties—curly and flat-leafed. Some folks find kale’s earthy, green taste to be a little overwhelming, but if you enjoy other dark, leafy greens like spinach, collards, or chard, you’ll probably enjoy kale as well. 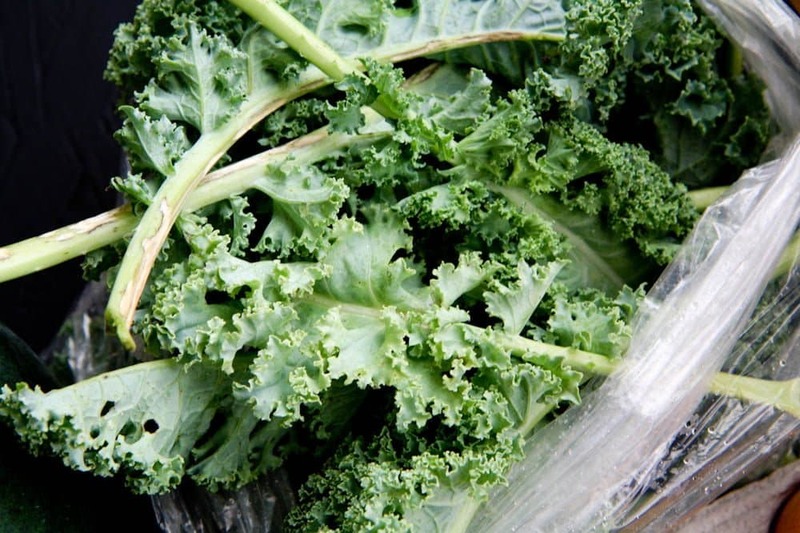 The flavor of kale is very pronounced when raw, but milds dramatically when cooked. Just like all the dark, leafy greens out there, kale is a winner because it’s packed with fiber, which helps keep your digestive tract happy and help your body excrete excess cholesterol. Studies have shown that a diet rich in kale may lower your risk of bladder, breast, colon, ovary, and prostate cancers, as well as help with the anti-inflammatory system in the body. When and where do I get it? Kale is a hardy veggie that thrives in cool weather, meaning it should be readily available and in-season in many areas of the world now. Most grocery stores carry whole kale leaves in the produce section, as well as chopped kale and baby kale (the mild-tasting, immature leaves of the kale plant) in the bagged salad section. You also might be able to find frozen kale next to frozen spinach. If you’re lucky enough to have a well-stocked winter farmer’s market nearby, you might find a vendor or two selling kale—it continues to thrive even in snowy conditions! How do I prepare kale? You can sub in equal amounts of kale into any recipe that calls for cooked spinach—the kale tends to retain it’s shape and texture a bit better than spinach, but the flavor-profile is similar. Many folks also eat kale simply by steaming it or sautéing it. 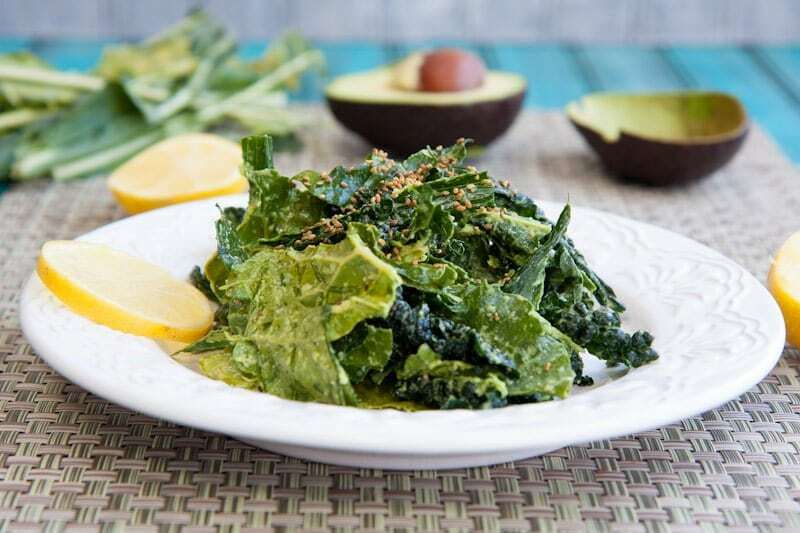 You can also make a raw kale salad by “massaging” it with oil or salad dressing for a few minutes (this process helps to make the earthy flavor more mild and helps to break up the rough texture). One of the more fun ways to prepare kale is in chip form! Kale crisps up nicely in a 350° oven for 10-15 minutes. Just spray bite-sized kale pieces with cooking spray, sprinkle on a little seasoning (salt, garlic powder, and cayenne pepper are nice) and bake until crisp.